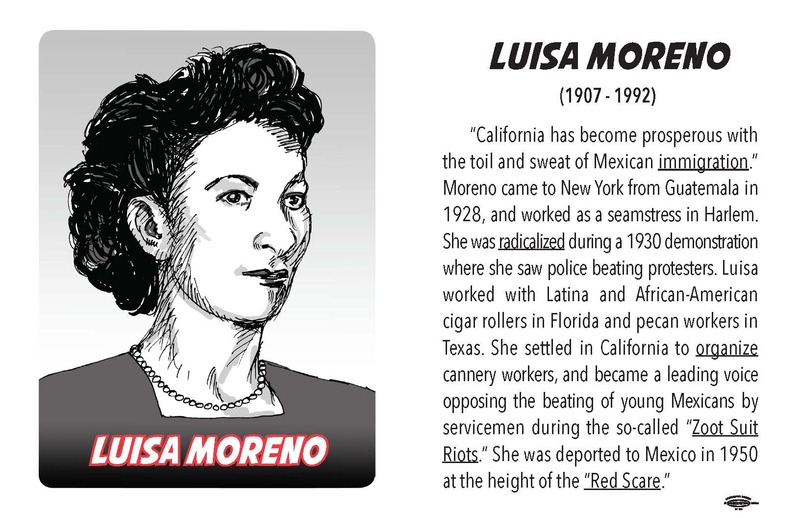 Graphic artist Jos Sances and educator Bill Morgan created this wonderful series of drawings and biographies as a basic introduction to the labor movement in the United States. The panels are based on a larger set of “labor hero” trading cards, a selection of which are displayed in each case. Sances and Morgan chose working class leaders who were activists in unions as well as other justice movements in order to illustrate the strong connection between labor and progressive social change. You many recognize some of the faces, but many of these champions’ stories have been forgotten.